Kitchen Design Central Coast | My Kitchen Star | German Quality with Danish Design. My Kitchen Star is locally owned and operated, using only highest quality German hardware, fittings and materials which is designed and made to last. My Kitchen Star is all about German and Danish kitchen design innovation and kitchen renovation on the Central Coast, Gosford to Wyong and Sydney; this means our kitchen are beautiful, bespoke and functional kitchen designs, German hardware, fittings and materials tested to last the life of your kitchen, and German engineering know-how and reliability when it comes to implementation and execution. We offer free quotes with 3D kitchen design that will enable you to visualise your new kitchen before it is even ordered, giving you peace of mind. Our pricing is fair and competitive and we often beat the competition! 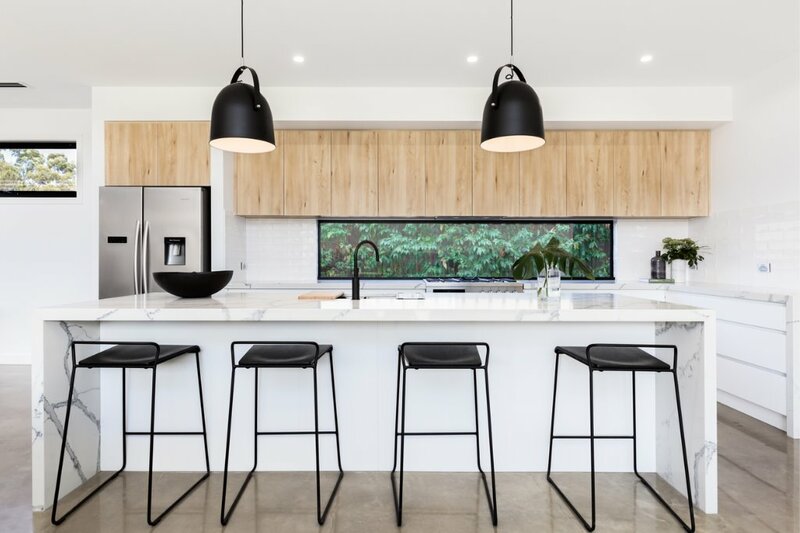 For kitchen design and kitchen renovation Central Coast, book a free design appointment in our showroom in West Gosford contact us or call (02) 4322 2987 and we will be in touch. Today’s kitchen is much more than a place we cook food. Kitchens have become the centre of our homes so careful planning of the space is essential to making sure the most used room in the house is also the place you want to spend your time in. It is just as important to consider the design of this space in aesthetic terms as it is in functional terms. Our kitchens have German quality with Danish design influence with a fair and competitive pricing tailored to your budget. Through our extensive experience we offer quality kitchen design Central Coast! My Kitchen Star also offers professional kitchen installation to European quality standards, we have reliable and qualified tradespeople who take care of any electrical or plumbing work involved as well. So if you are searching for ‘kitchen design Central Coast’ speak to experts at My Kitchen Star. We offer affordable prices, experienced and caring customer service and high quality beautiful kitchen designs with German/Danish design influence. We understand undertaking a project like a new kitchen or a kitchen renovation can seem like a daunting task. What if you don’t like it, will the materials last, am I going to be able to afford it? Rest assured, My Kitchen Star can take on your project no matter what stage you’re up to and give you peace of mind that through our kitchen design Central Coast service that you will fall in love and fall in love again and again with your new kitchen. We use only top quality German-made hardware, fittings and materials so your kitchen will last many many years. We do it all! Whether you’re after cabinets, units, islands, remodelling ideas, kitchen plans, fitted kitchens, layout planning; anything we can do it! We have received fantastic reviews from our loyal base of customers who have utilised our kitchens Central Coast products and services. It’s through our experience we recommend colours and textures that work well together and with your input you can stamp your own design flare on your kitchen. It’s also through this experience we can provide materials fit for purpose and hardware that is German manufactured to stand the test of time because of our existing solutions already being used day in and day out. There’s a reason we are called My Kitchen Star, we are all about your kitchen and what you want and how you want to cook and live in your home. We understand that everyone is different and that is why we tailor our solutions specifically for your needs. We have created all sorts of kitchen aesthetic styles including beach styled kitchens, modern kitchens, traditional kitchens, retro kitchens, organic and natural styled kitchens. Please speak to us as we would love to partner with you for your project.